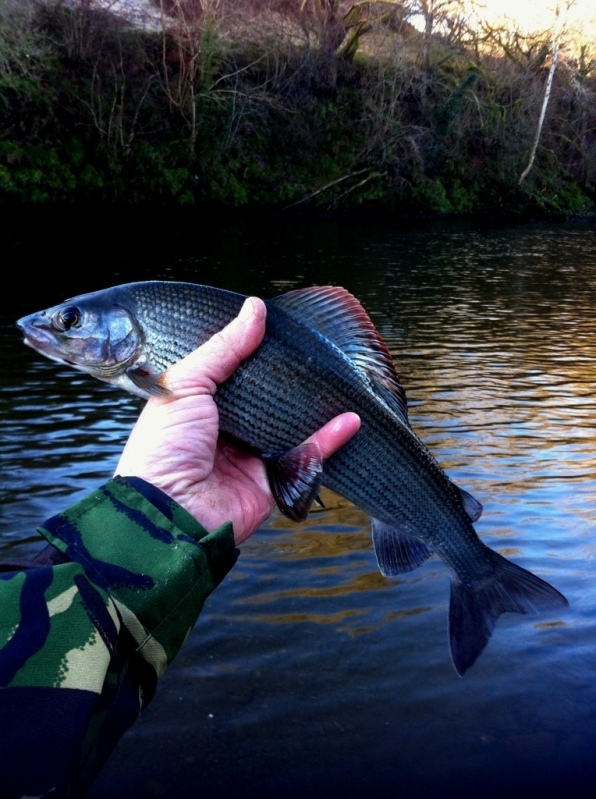 A few of our members organised a trip to another River after the Grayling – here are a few highlights from the day. 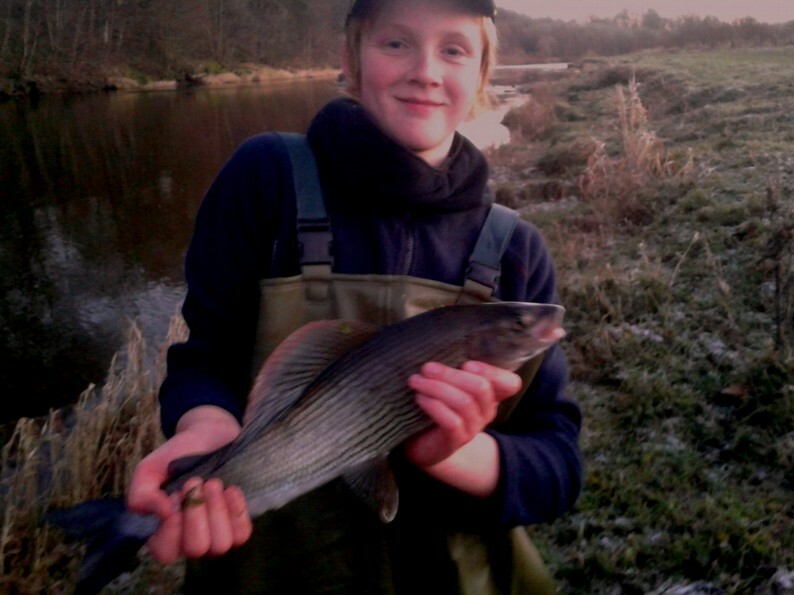 The first photograph is of one of our young members who was out on the River in freezing conditions after his first ever Grayling – he had a day to remember catching 7 in total including this fish of a life time – well done!!! Please note all the “Ladies Of The Stream” were carefully returned to the water. 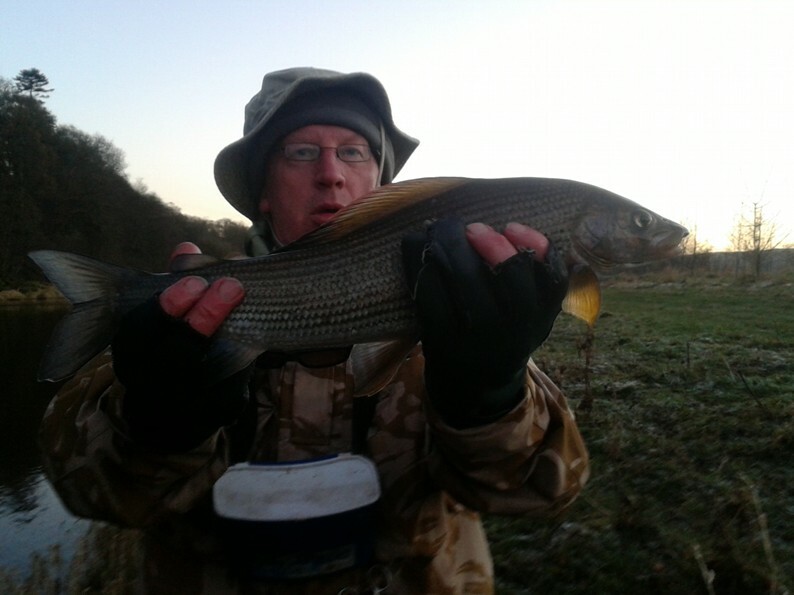 All our anglers had a great day with many Grayling caught & returned. Many of us struggled in the bright sunshine – but once the light started to go the River came alive. Our Chairman also managed a few specimen fish as well. 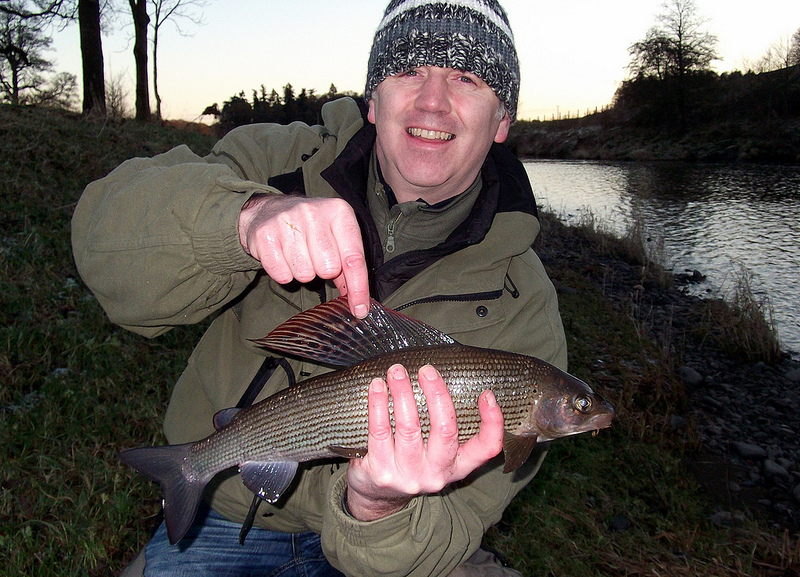 One of Wullies Grayling – was it on a Pink Bug? And as the light went many more big “Ladies” were caught. It was getting dark and the bites were coming thick & fast. 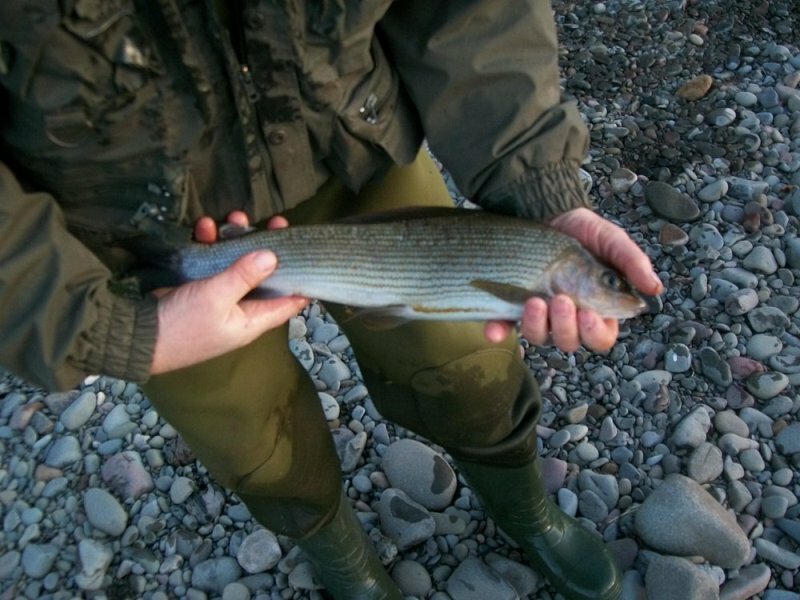 What a great day – absolutely brilliant and there were a few anglers out on this trip who caught there first ever Grayling.